Happy NOVEMBER! Fall is in full swing and between the pumpkin patches and the changing leaves… I have Thanksgiving on my mind! I love Thanksgiving, it’s one of my favorite holidays. (First is obviously Christmas!) I love this time of year… the weather starts to cool down a little bit, and there’s a real focus on spending time with family and loved ones. 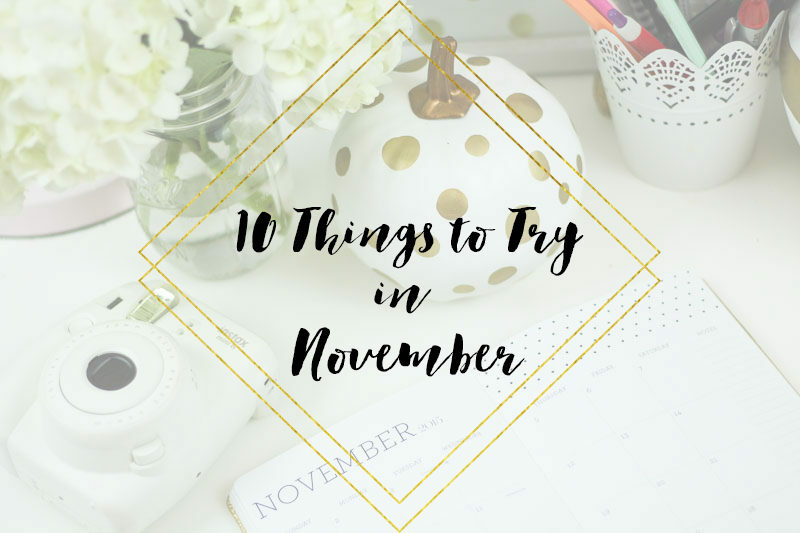 As always, I’ve made my list of 10 things to try this month and I’m SO excited about them! Ready? Let’s go! Host a Friendsgiving. I’m throwing a Friendsgiving with my gal pals and their families later this month and I am so excited for it! We did it last year and it was such a fun day. We had such a blast cooking together and there was something so special about it all. Later this month, I’m going to share a post about HOW exactly to throw one, so stay tuned. 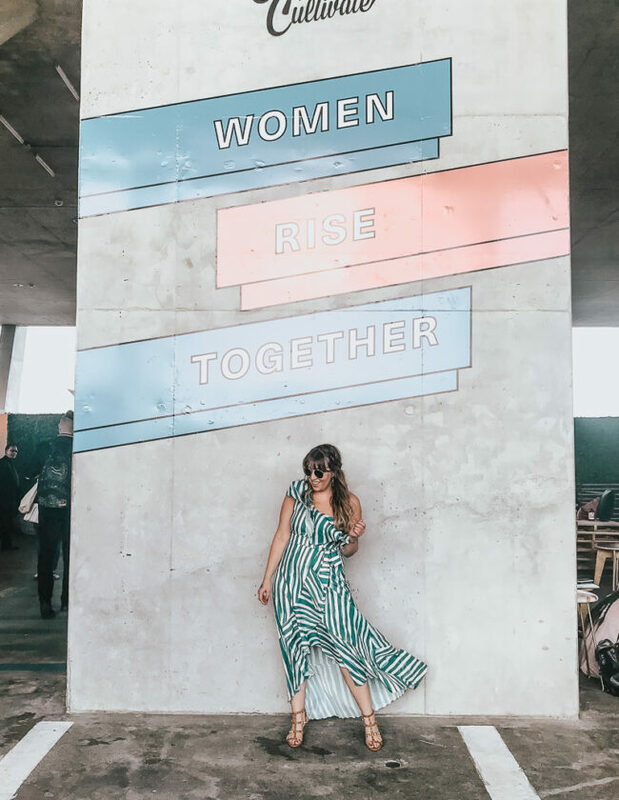 And let me know- what questions do you have? Make a list of things you’re thankful for. Gratitude is such a vital part of life. I love Thanksgiving, and not just because I love me some turkey and pumpkin pie. I really love the idea that we take a day as a family to be thankful for the wonderful things in our lives. I think it’s really important to keep all of that front and center, especially when you’re going through trying times. There is ALWAYS something to be grateful for. We are so blessed and so many of us don’t even realize it. Set your holiday gift budget and gameplan. Before you know it, it’ll be CHRISTMAS. I KNOW. I can’t even believe it myself! Now is a good time to start making a list of who you need to get gifts for, and figuring out your budget. That way, you can be really diligent about scouting out the best prices and save a ton of money. (Plus, it makes Black Friday shopping a whole lot less stressful!) I’m going to kick off gift guides starting right after Thanksgiving. Plus, I’ll be offering exclusive sale alerts and gift guides to my SparkleMail subscribers, so be sure you sign up! Spray paint fall leaves for a glam tablescape. Spotted some amazing tablescape ideas on Pinterest; love the idea of spray painting some fall leaves for a glam touch. Take a little TV break. I’m cutting back on TV a little bit this month. It should be easy to do- there’s so much going on during the holidays! The truth is, I want to focus more on work and relaxing. I’ve been binge watching show after show and it’s actually kind of exhausting! I just binged on Gilmore girls for the first time. I had never seen the show before. I can’t wait for the Netflix reboot next year! But it did take a lot of out of me, and I found myself staying up super late to watch episode after episode. I’m going to make more of an effort to go to bed earlier, read some books, and focus on ASF! Start brainstorming your holiday party outfits. I know, I know, it seems soon. But trust me, before you know it, it’ll be Christmas Eve. Plus, there are so many holiday parties to get to… it’s never to soon to scout the perfect red dress. So, what will you be trying this November? Do you have a fall bucket list? What’s on it?